We are going to create the standby database by duplicating the primary database for standby using RMAN. 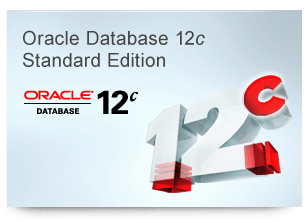 Since 11g no backup is needed, you can duplicate directly from an active database. An important note is that you must connect to your auxiliary database using a service name and not using os authentication because during a duplication from active database, the primary database communicate with the standby using the service. We are now ready for recovery, we will now run the following RMAN script on standby server in order to recover our standby database. As you can see, only the datafiles are restored, no archivelog applied, no controlfile restored, this means the standby database is not consistent, this is not a problem if you use dataguard as the redologs are applied in real time to the standby but in my case I don’t use dataguard and I need my standby to be consistent every time I recover it. What happens now if I try to open my standby database? RMAN> SWITCH DATABASE TO COPY; datafile 1 switched to datafile copy "/u01/app/oracle/oradata/DB12C/datafile/o1_mf_system_9jw1mnqh_.dbf" datafile 3 switched to datafile copy "/u01/app/oracle/oradata/DB12C/datafile/o1_mf_sysaux_9jw1nfs3_.dbf" datafile 4 switched to datafile copy "/u01/app/oracle/oradata/DB12C/datafile/o1_mf_undotbs1_9jw1o6w6_.dbf" datafile 6 switched to datafile copy "/u01/app/oracle/oradata/DB12C/datafile/o1_mf_users_9jw1o9b5_.dbf"
datafile 1 switched to datafile copy "/u01/app/oracle/oradata/DB12C/datafile/o1_mf_system_9jw1mnqh_.dbf"
datafile 3 switched to datafile copy "/u01/app/oracle/oradata/DB12C/datafile/o1_mf_sysaux_9jw1nfs3_.dbf"
datafile 4 switched to datafile copy "/u01/app/oracle/oradata/DB12C/datafile/o1_mf_undotbs1_9jw1o6w6_.dbf"
datafile 6 switched to datafile copy "/u01/app/oracle/oradata/DB12C/datafile/o1_mf_users_9jw1o9b5_.dbf"
Ok that looks good for the datafiles but what about the onlinelog ? No more luck, but if we think about it for a minute, no archivelogs have been applied since the datafiles restoration, so the database is not intended to be consitent, I’m going to switch current log from the primary and copy the archivelogs to the standby host. This is not a good approach to recover a stanby regularly, first, this method uses incremental backups and as I use the standard edition, block change tracking is not enabled which implies that RMAN have to scan all my datafiles to see what changes have been made every time I recover my standby, this could be problematic for large databases. Secondly it requires many steps to open the standby database, it’s complicated. The only interesting usage I can see is if you want to recover the standby database from a large gap sequence, in that case, this method should be more efficient than applying all missing archivelogs sequences. Nice article and demonstration. I read another article about it here http://allthingsoracle.com/rolling-forward-a-physical-standby-database-using-the-recover-command/ , and since you are more experienced on this subject than me, can you please tell if their procedure leads also to failure if they try to open read-only ? the author stopped at ” RESTORE STANDBY CONTROLFILE FROM SERVICE boston; ” then mount. I’m wondering if it is the broker that gives another way to it automatically . you’ve got it, when you use an automatic recovery, DG broker takes care of the consistency of your standby.for you. In my case this was a test to recover manually a standby database. Each time I recover it I need to be sure I can open it. Thanks Cyrille for your quick investigation, this clarifies the process, and put more value on your procedure since broker won’t always be there seeing that a separate server (in a production setup) will be required. You’re right, In my situation I was interested to do this because I have to maintain standby in standard edition without the help of dataguard. The interesting thing about network recovery which is not covered by this article is you can do the recover in both way, meaning you can recover a lost datafile in you’re primary using the standby datafile. Excellent article and thanks for sharing.